The attackers took a bag with a large sum of cash. 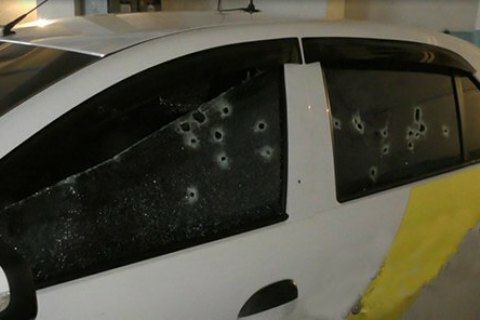 On the evening of 25 January, unidentified individuals fired over 30 bullets from an assault rifle at a car of a local security firm and fled the scene. The city police said two security guards were seriously wounded while their client, a local businessman, was killed in the attack. The wounded men were taken to hospital. Their condition is considered to be stable. The investigation said the attackers took a bag with a large sum of cash which belonged to the deceased. The victim, who was robbed earlier, has used security firm services for two years. The guards used to accompany him to and from work on a daily basis.